The Constellations Series forms the closing chapter of The Mapping Journey Project. 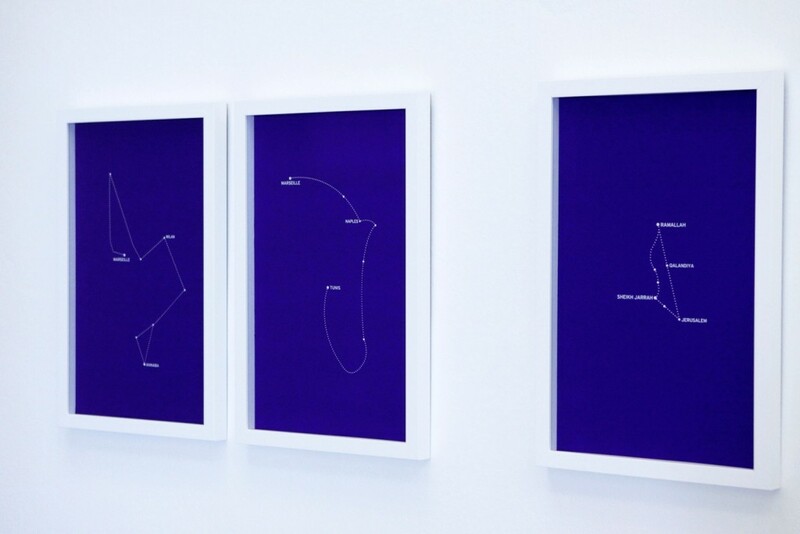 Composed of 8 silkscreen prints, each of the Constellations reproduces each of the drawings produced by the participants in The Mapping Journey Project, literally translating the journeys recounted in the videos in the form of constellations of stars as they have been in use in astronomy has for centuries. I started with asking myself a simple question: How to translate a subjective geography challenging borders and restrictive conceptions of nation state? 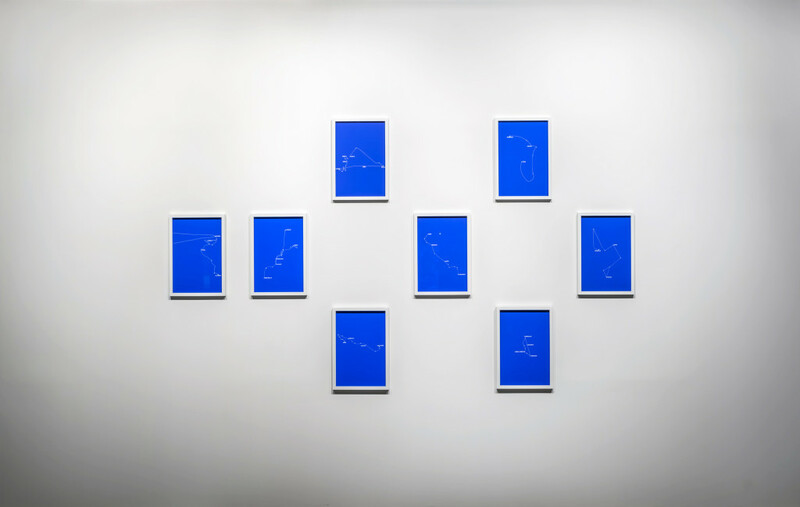 Constellations are by essence reference points in spaces where landmarks do not exist. As for centuries, sailors used to look at the sky to locate themselves on the sea. But constellations are also visual translations of narratives, eventually forming an “heterotopia par excellence” as defined by Michel Foucault: a nomadic movement, connecting the within and the in-between of different sites, contesting normative geography. Similarly in The Constellations sky and sea are blurred, boundaries are erased. 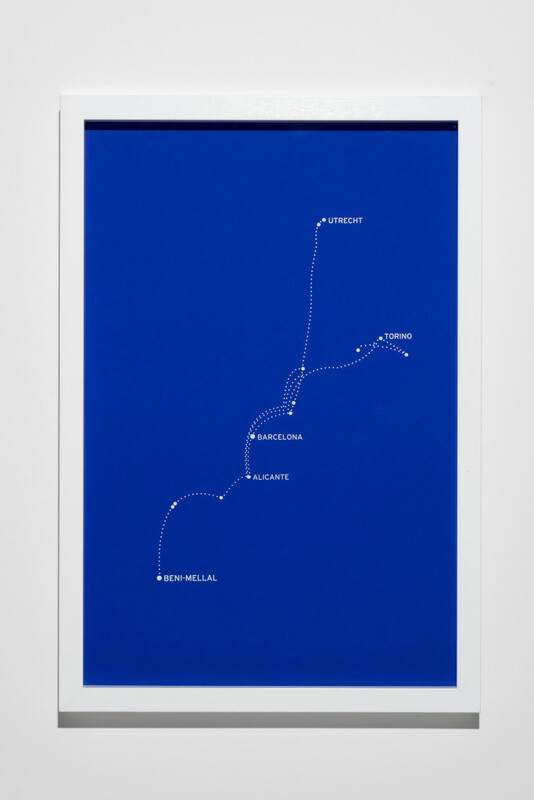 Following singular lives emerges as an alternative form of orientation, eventually suggesting: “A map of the world that does not include Utopia is not worth even glancing at” (Oscar Wilde, The Soul of Man Under Socialism). Excerpt of a contribution of Bouchra Khalili to the summer 2017 issue of Artforum.